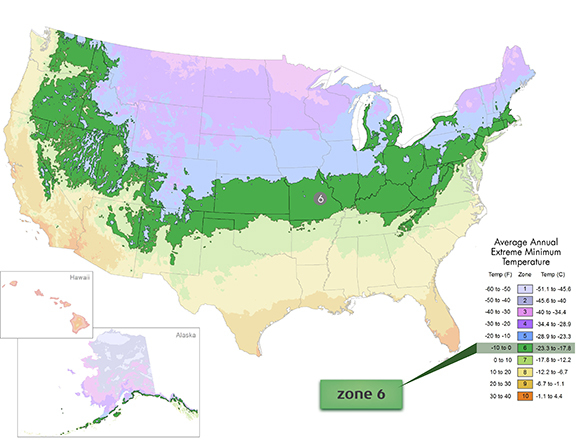 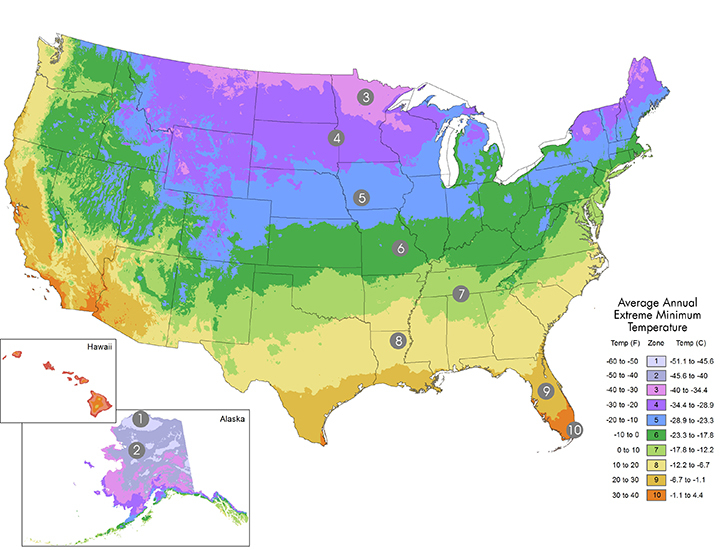 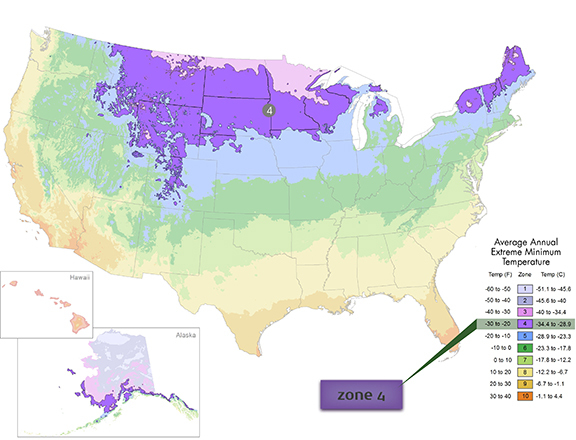 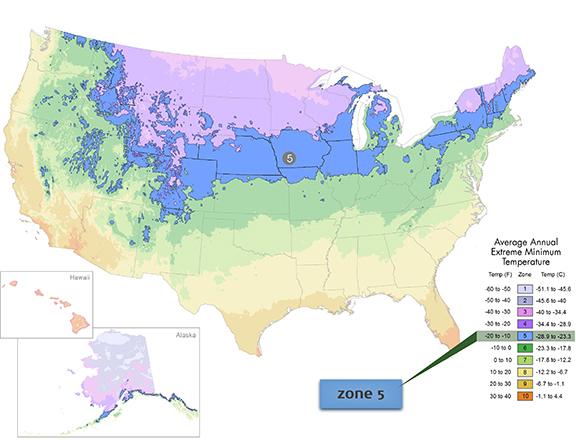 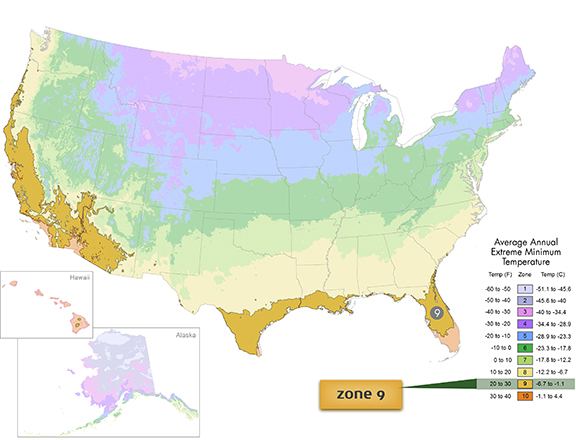 The USDA developed a map of zones across the nation based upon average annual extreme minimum temperatures. 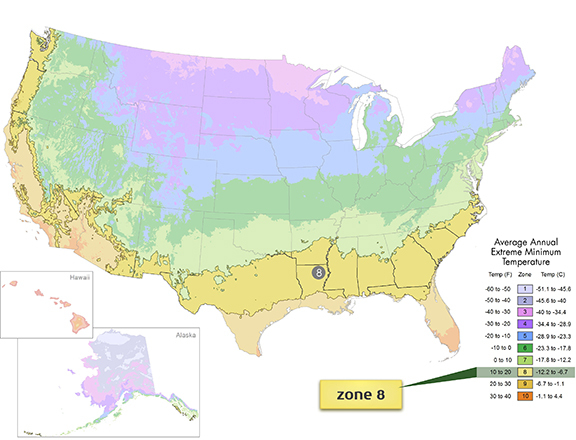 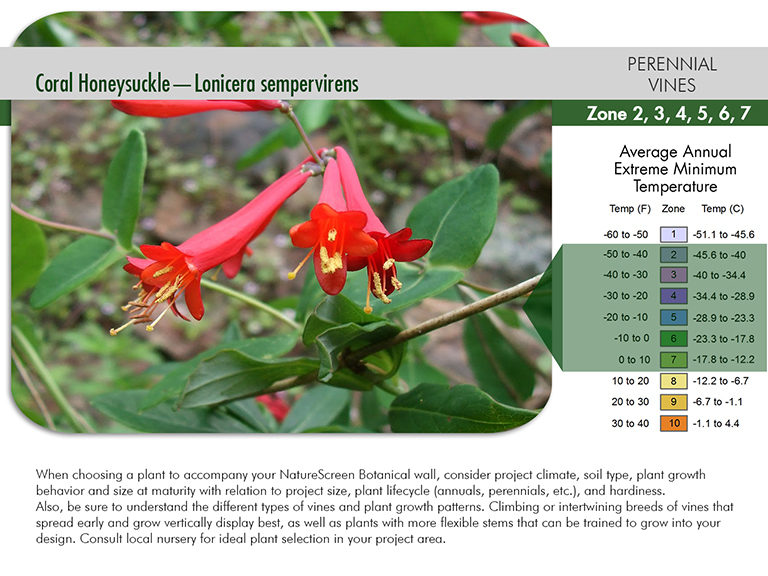 This geographic segmentation is very important to consider when choosing the best plant species for a particular environment. We have accompanied this map with a few of our top plant recommendations in the zones where your NatureScreen® project may be installed. 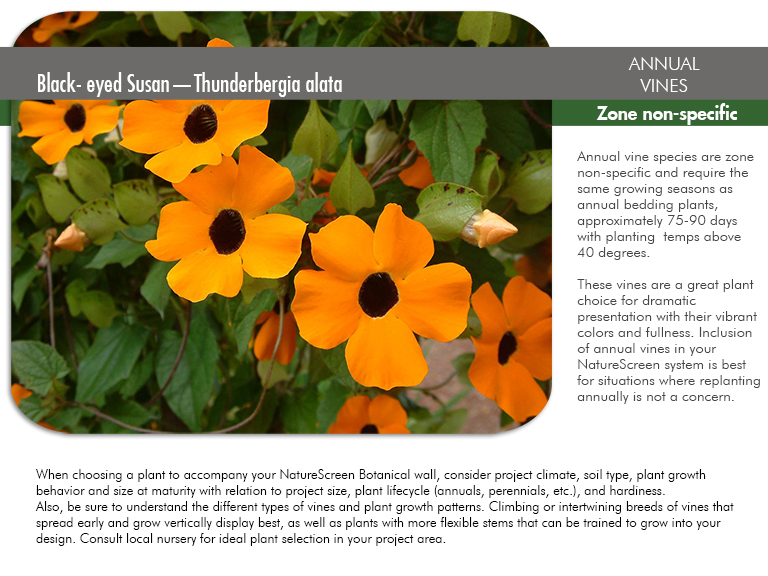 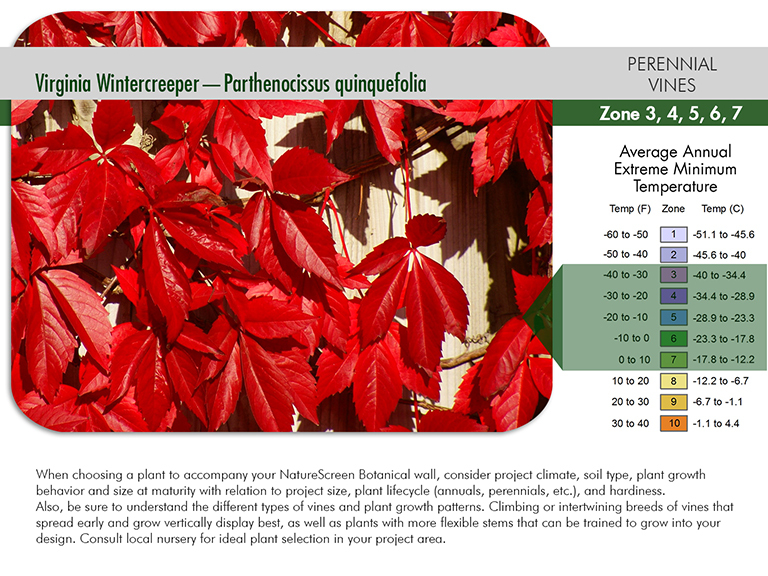 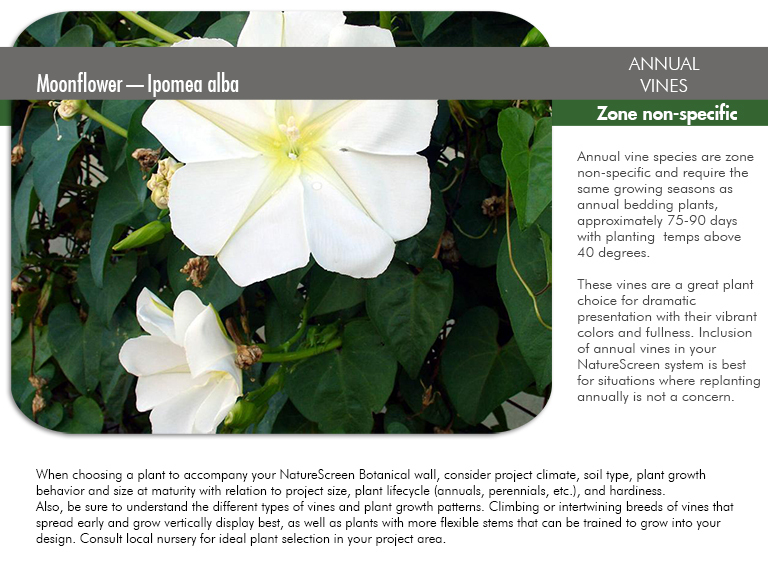 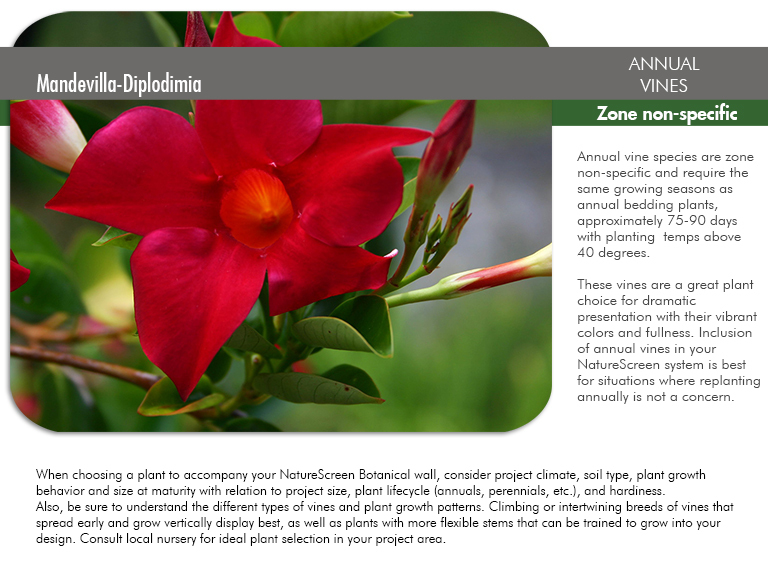 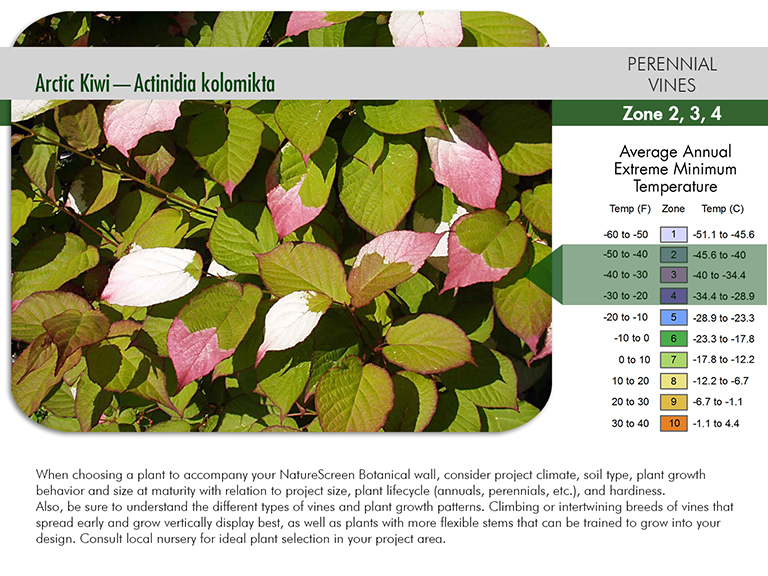 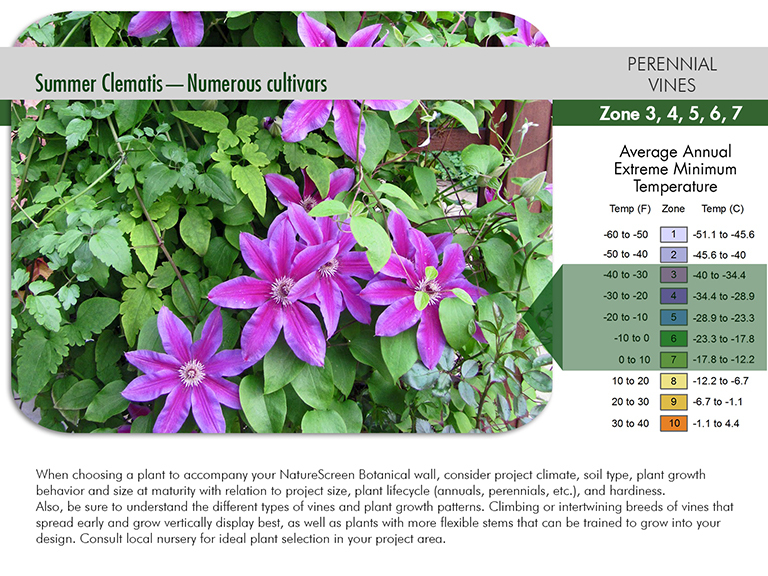 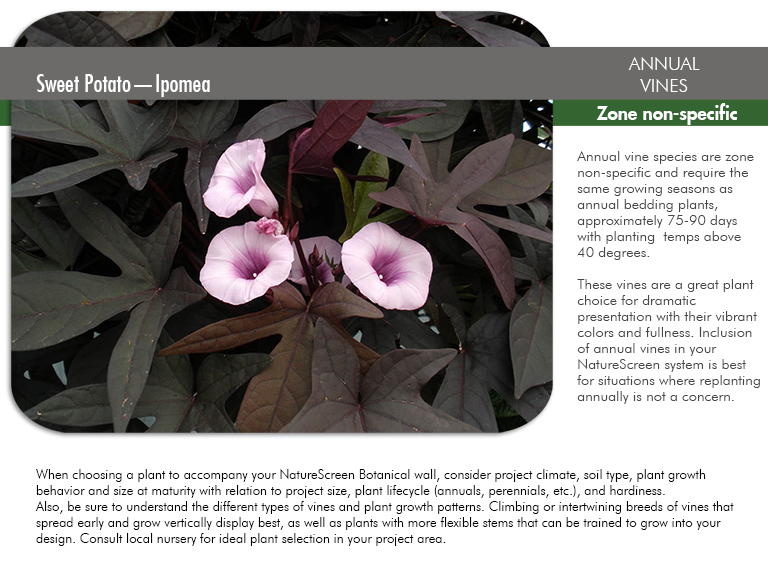 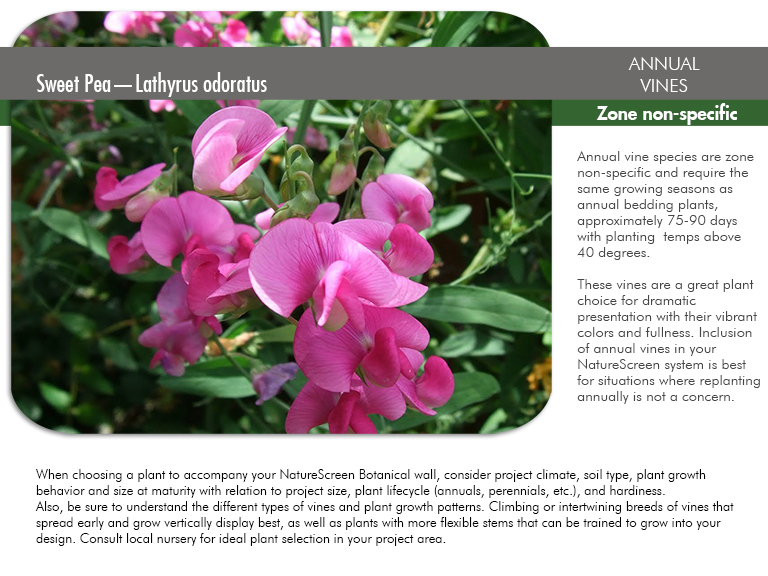 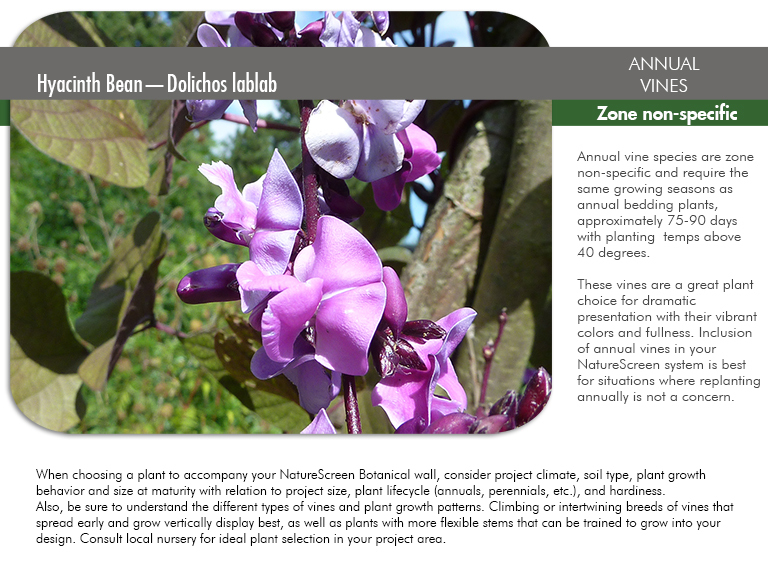 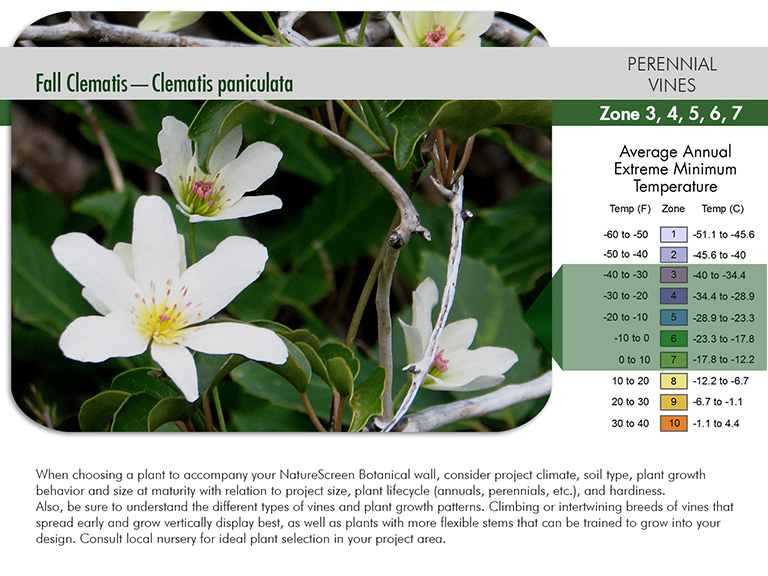 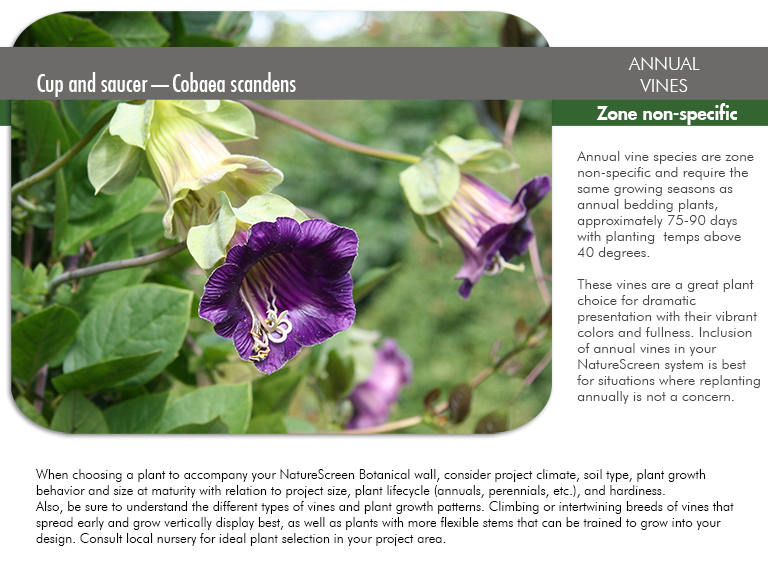 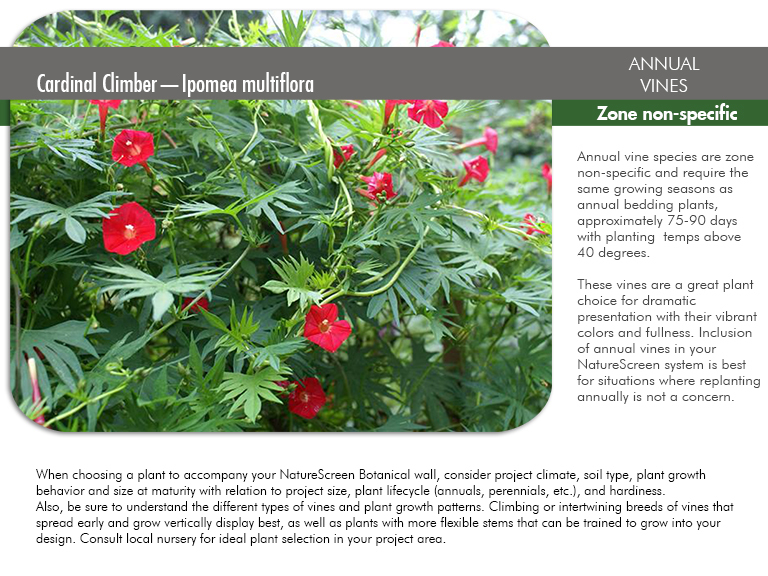 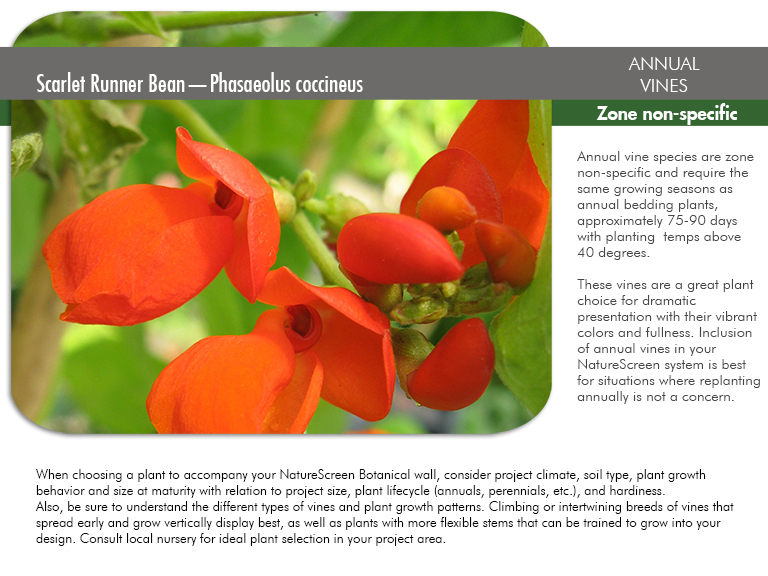 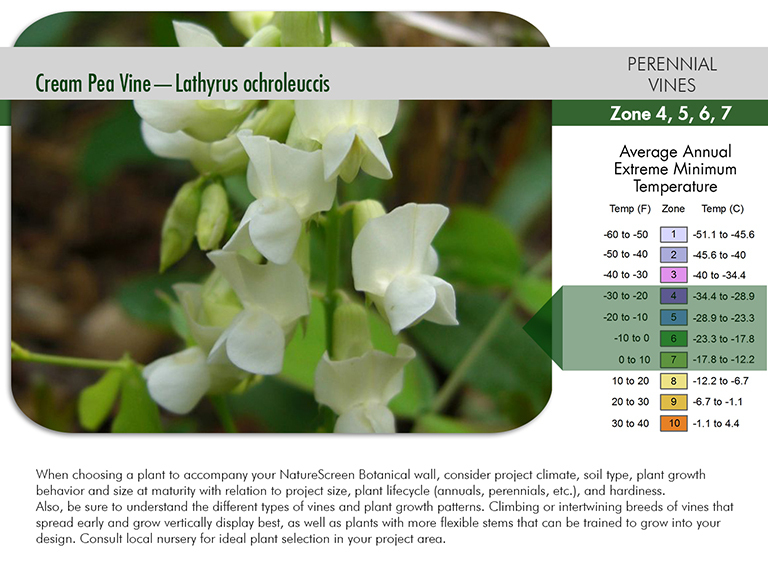 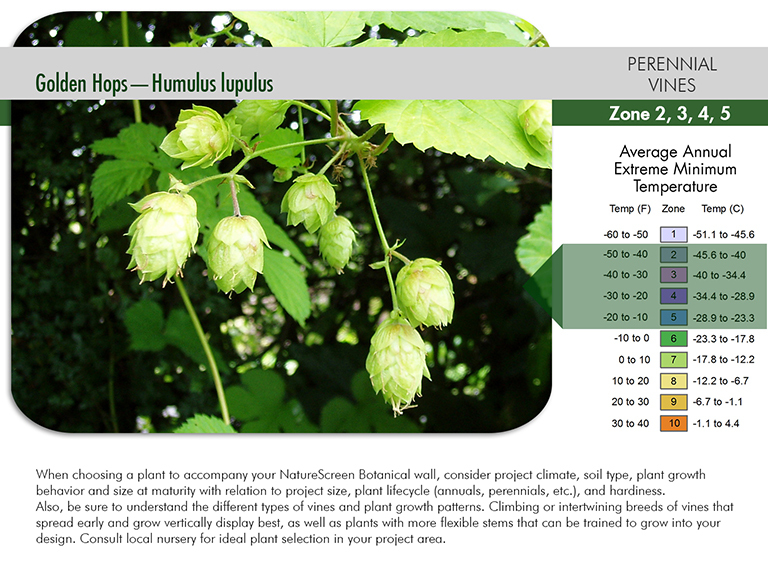 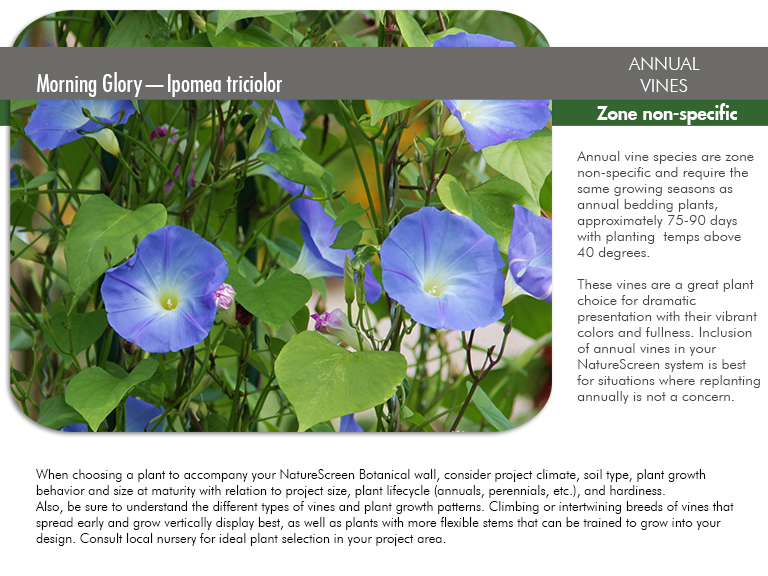 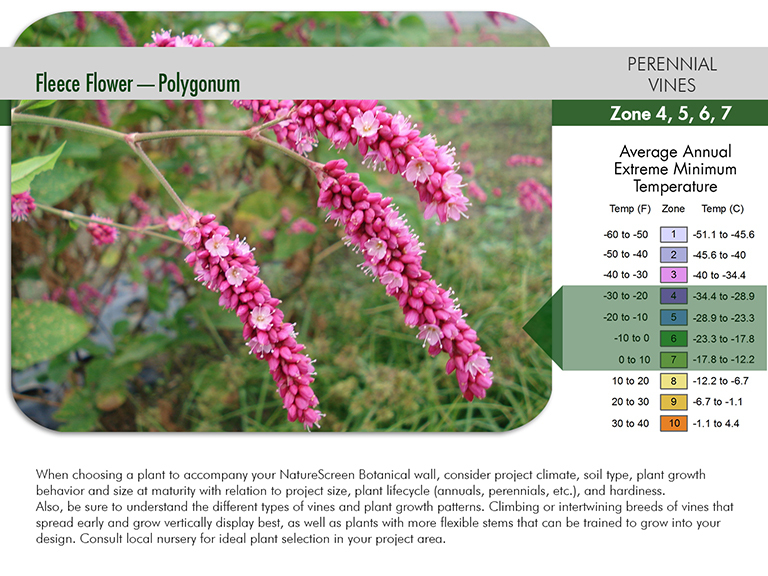 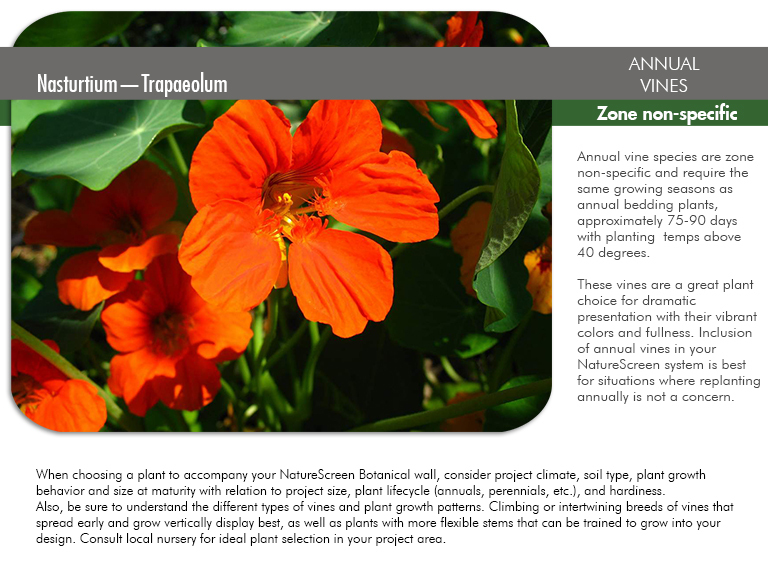 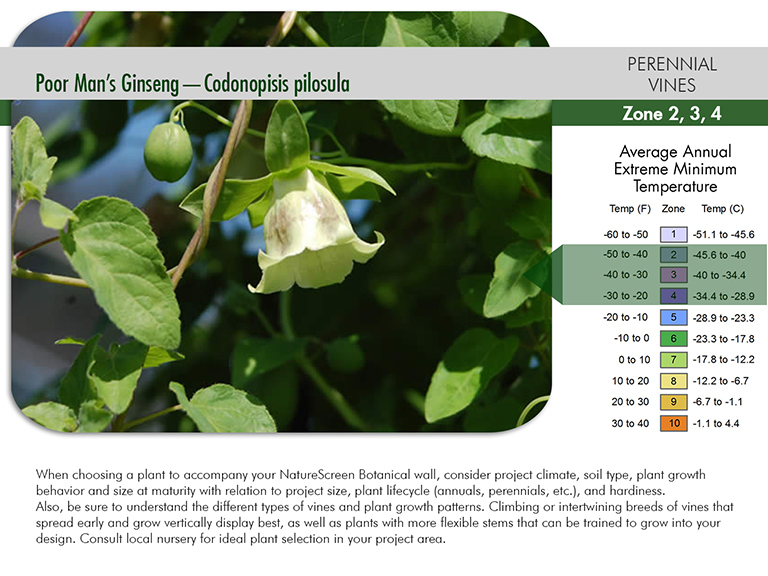 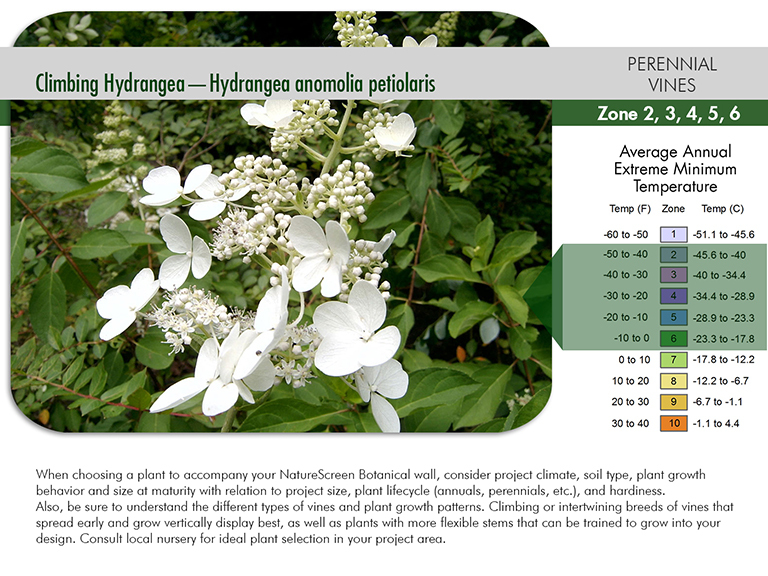 We also have provided a list of annual vines that are great design options for when annual replanting is not a concern. 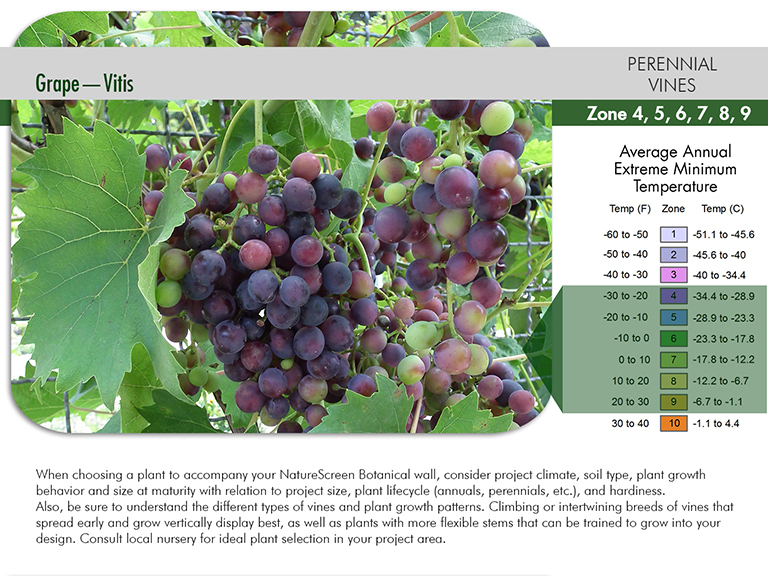 Annual vines only live for 1 growing season and are not zone specific. 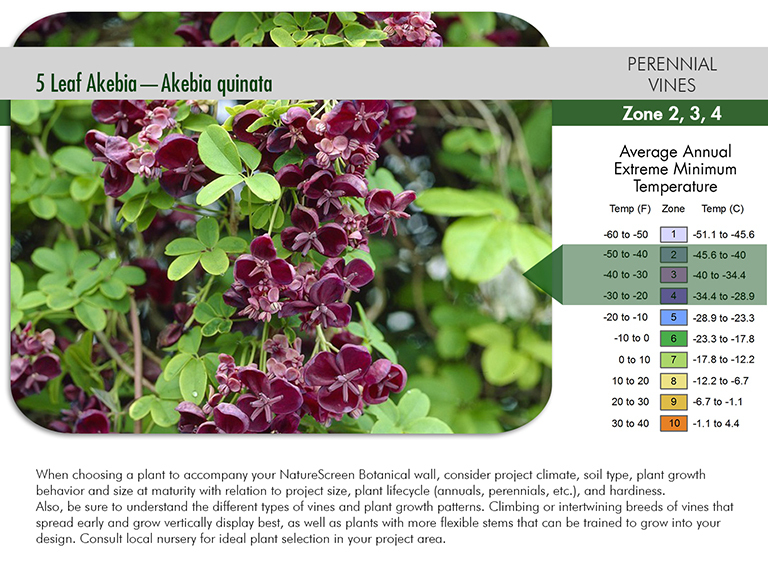 These plant species require the same growing seasons as annual bedding plants; approximately 75-90 days with planting temperatures above 40 degrees.